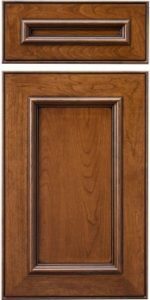 The Highland (miter) is a ‘swiss army knife’ of a door, accepting several moldings in its face to create all new looks with each one. This version features the 161 Molding and looks similar to the Hancock design, but with a unique outside edge profile. 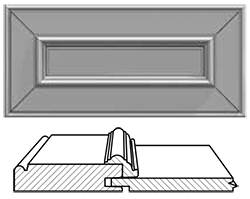 The cross-section below is an example of how your door will look, but the profiles you choose will determine the final look of your door. Yes - P-057, P-602, Reverse G-Cove, & Presidential only. 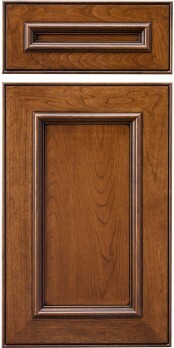 Yes - G-012, G-015, G-056, & G-121 panel grooves available.